I am deeply hurt, enraged, and gravely concerned by the onslaught of violence against Black women and girls. The latest offense happened on Monday, July 13th, when Sandra Bland, a 28 year-old woman who was pulled over for a minor traffic violation, was found dead in her Texas jail cell. The following day, 18 year-old Kindra Chapman was also found dead in an Alabama jail cell. In June, a police officer tackled and handcuffed a 14-year-old girl in a bikini at pool party in McKinney, Texas. In June, nine people—six of whom were Black women—were murdered at the historic Emanuel African Methodist Episcopal Church in Charleston, South Carolina. Cynthia Hurd, Rev. Sharonda Singleton, Susie Jackson, Ethel Lance, Myra Thompson, Hon. Rev. Clementa Pinckney, Tywanza Sanders, Rev. Daniel Simmons Sr., and Rev. DePayne Middleton-Doctor lost their lives because of the deep-seated anti-Black hatred cultivated against African Americans in this country. And this is only in the last few months. There are scores of Black women who did not get a hashtag. There were no marches or protests for them. Their deaths have gone unnoticed by most of the nation and grieved by only the ones who knew them. As Black women, this is our reality. Black women are three times more likely than white women to be incarcerated due to the systemic oppression inherent to the criminal justice system. We are seeing the media use criminal history, past events, and previous social media posts to devalue character in an attempt to “justify” the unjustifiable deaths of Sandra Bland and Kindra Chapman, as well as countless other women. We refuse to accept any attempt at distraction. 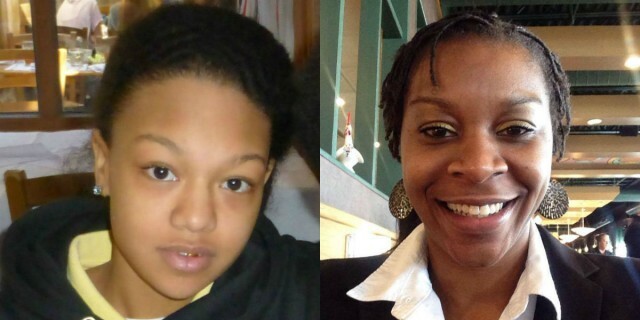 We refuse to accept the narrative that Sandra Bland brought this upon herself. We refuse to accept the constant character assassination of Black women and girls whose untimely deaths are directly linked to police violence. The senseless violence and the impact of terror negatively affect our mental, spiritual and physical wellbeing. We are reminded of the constant truth that our daughters are not safe, our sisters are in danger, our mothers are in mourning, and our men are hunted—creating the constant reinforcement of the expendability of our lives. The police officer in Texas terrorized Sandra Bland and his actions reinforced the message to Black women everywhere: there is nowhere that we are safe. Anti-Black violence towards Black women and girls not only impacts us directly but terrorizes our families too. On July 15th, a Texas woman named Laura Browder was arrested and charged with abandonment for leaving her children unattended in a food court where she was meeting with a prospective employer, 30 feet away with both her children in eyesight. Black women experience disproportionate rates of poverty. According to the most recent census data, African American women earn 64 cents to every white man's dollar. In addition, Black women are the only demographic whose unemployment rates have not decreased since 2013. We have the right to live without fear. We are entitled to raise our children in safe environments, as well as earn a dignified living. Black women are constantly criminalized and controlled through various forms of oppression. I stand with numerous communities calling for civil, independent investigations by the Department of Justice into the deaths of Sandra Bland and Kindra Chapman. During the investigations we demand the officers involved in their arrests be placed on unpaid leave pending the results of the investigation. We must acknowledge that Black communities experience excessive aggression from the police. Looking into the historical pattern of police officers living outside the communities they are meant to “serve,” this disconnection and deliberate detachment perpetuates a system of white supremacy and anti-Blackness. We are recommending that all law enforcement officers reside in the community in which they work. While we recognize that this will not solve the problem, it is a step towards acknowledging the humanity of Black people. Rather than calling for another “Blue Ribbon Commission” or civilian review board, the simple act of living together may help reduce the violence and mayhem. As Rev. Dr. William J. Barber, II, founder of the Forward Together and Moral Monday Movements, points out: it seems that "only Black 'deaths' matter." He states: "Black people in the US are only deemed worthy of action in their death, not in their life." Will you join me in working tirelessly to alter this sad and unfortunate reality? Janette Robinson Flint is the Executive Director of Black Women for Wellness, an organization committed to healing, educating and supporting Black women. Janette has been serving her community as a public health professional for over 30 years. She is a community professional at Charles Drew University, where she teaches public health professionals, doctors, and nurses about reproductive justice and the impact of health policies on minority groups.